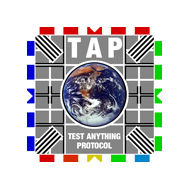 tappy provides tools for working with the Test Anything Protocol (TAP) in Python. tappy generates TAP output from your unittest test cases. You can use the TAP output files with a tool like the Jenkins TAP plugin or any other TAP consumer. tappy also provides a tappy command line tool as a TAP consumer. This tool can read TAP files and display the results like a normal Python test runner. tappy provides other TAP consumers via Python APIs for programmatic access to TAP files. TAP version 13 brings support for YAML blocks for YAML blocks associated with test results. To work with version 13, install the optional dependencies. Learn more about YAML support in the TAP version 13 section. © Copyright 2018, Matt Layman and contributors. Revision fa84f6fa.